Digital TV box: The face of satellite television services! Surf and enjoy with endless digital channels! Set-top box: The television modem! Satellite tv broadcast services: Changing the world of entertainment! DTH Service Providers in India? 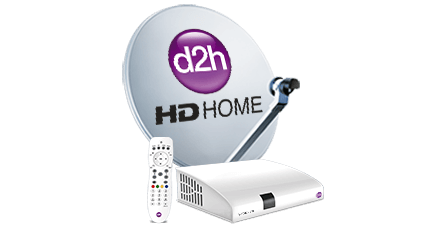 d2h presents India's first HD DVR with 3D ""Be future ready""
Analyzing the growth of Satellite TV in India! Is your building digitized yet?????? Are you still watching tv on analog cable ? d2h shoots for the moon! 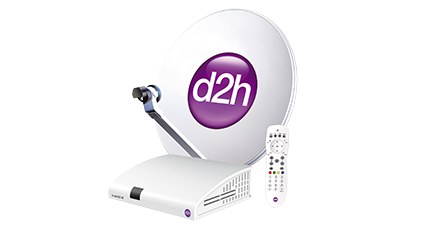 d2h offers 400+ channels & services on it's platform. 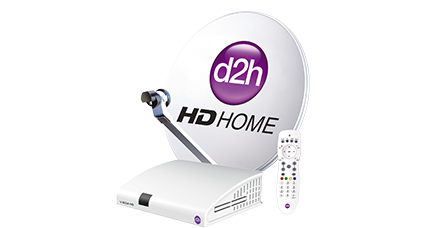 d2h launching Wi-Fi ""SMART HD SET TOP BOX""
The figure of 650 channels and services is the total number of channels and services available on the platform. The channels / services / features / multiple audio feeds / packages / prices can be added or deleted or modified at the sole discretion of the company without any prior notice. The company shall not be responsible or liable for disconnection / removal / unavailability of any channel/s on its platform if the channel/s is/are not made available from the Broadcaster's end. Prices of all channel Subscription plans, Add-Ons, A-La-Carte channels, Value added services / Active service channels, Long term entry offers, Monthly recharge prices, Long term recharge offers, Multi room offers shown on the website are exclusive of 18% GST. Customer needs to pay 18% GST extra on prices displayed.